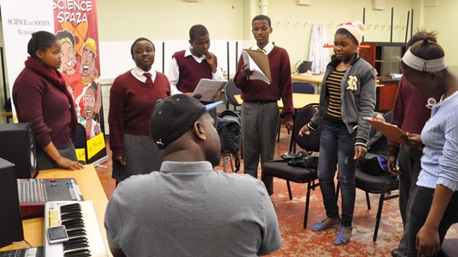 The Hip Hop Health project facilitated the collaboration of young people with health researchers to frame research questions, undertake investigations in their communities, and then write and perform hip hop music to share their findings. Learners at disadvantaged schools in South Africa have little exposure to scientific research and few opportunities to participate in it. Less than 5% of South African schools have functional science labs and, as a result, activity-based learning in schools is not common. The Hip Hop Health project created opportunities for young people to engage with biomedical researchers, undertake their own research studies, and use a popular culture medium to share their learnings and findings with the wider community. 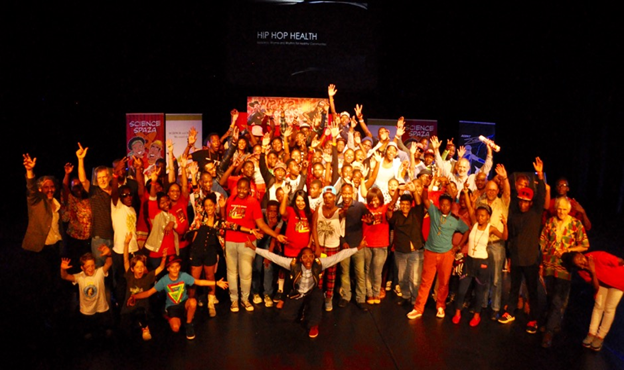 Hip Hop Health is supported by the Wellcome Trust and is an initiative of Hilary Kromberg from Jive Media Africa (a multimedia science engagement and communication organisation). The Project was undertaken with support from Dr Neil McKerrow (Pietermaritzburg Metropolitan Hospital Complex) and Robert Inglis (Jive Media Africa) in partnership with the Science Spaza initiative of Jive Media Africa (a network of self-initiated, learner-driven science clubs throughout South Africa). 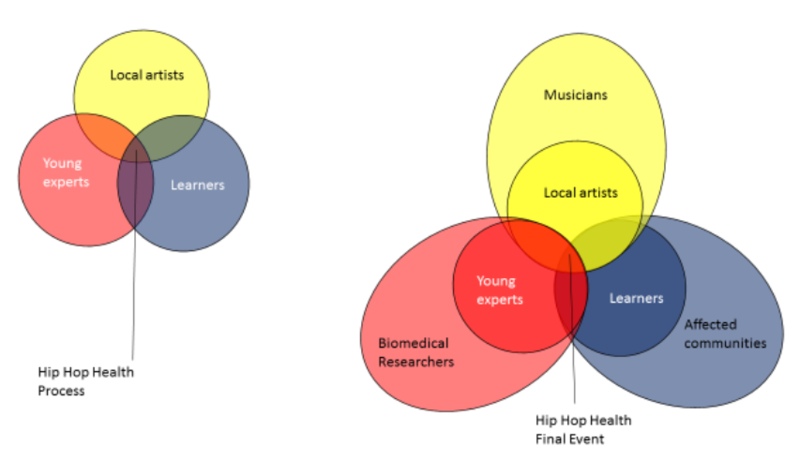 Hip Hop Health were concerned with diminishing the power differential between young people who have never been involved in science research, and researchers. They looked towards music as a mechanism to achieve this. Music is something most young people know a great deal about, and they are thus competent or experts in this field. Furthermore, music plays an important role in identity formation. Hip hop, in particular, was selected as a vehicle for positive community empowerment and social development. Hip hop and rap are known to be a voice for marginalised youth in many countries, and hip hop’s complex aesthetic sensibility often translates into political identities and sometimes agency for its participants. An initial meeting with public health, biomedical and water experts was held in order to identify common health problems associated with water in KwaZulu-Natal. Learners undertook their own research and fieldwork on the three topics outlined in the research activity notebooks. After a research methods and ethics workshop with the experts, the learners completed the data collection in their home communities. Data analysis was started by the learners, and then completed with experts at a subsequent workshop. The learners also began to think about what messages they wanted the public to know, arising out of their research findings. The learners took the findings and messages that came out of their research and turned them into hip hop song lyrics and put down the beats for their songs. 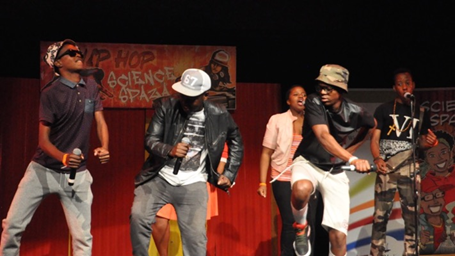 The hip hop concert was held at the University of KwaZulu-Natal Theatre and friends, family, and public health experts were all invited. There was also a performance by a nationally well-known hip hop artist. The songs were recorded live and copied onto CDs. The hip hop performances were recorded and released online for sharing with the broader public. A partnership with a popular youth television programme resulted in the creation of a number of short films screened on national television (see below). The songs, along with interviews with researchers, were featured on community radio stations. 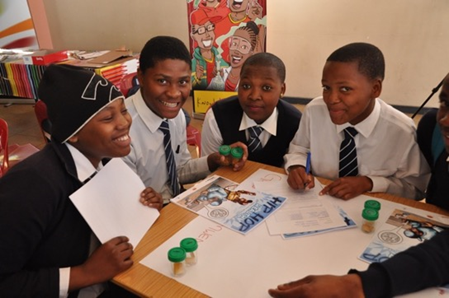 The research activity notebooks, CDs, and implementation manual were also shared as open-licensed resources online and as printed packages to science clubs throughout South Africa through the Science Spaza science clubs programme. Click here to watch the rest of this series of short films exploring the hip hop health project aired on national television. Senior biomedical experts were ‘inaccessible’ given time-constraints and it was difficult to find senior black experts who would participate and act as role models. Timing of workshops - workshops took place at weekends and concerns arose that they were too content-rich and busy, and that this was restricting learning. Some learners struggled particularly with data analysis, for example links between biodiversity and water quality were not made by some learners. Language affected the project on many levels: translation of some research/scientific concepts into isiZulu was difficult, as was creating hip hop songs with scientific concepts. However, none of the learners mentioned language as a challenge, and they used a mix of isiZulu and English for all aspects of the project. Ensuring CDs were of a high enough quality for radio and national television, especially on a limited budget. A participatory, qualitative evaluation was conducted to assess the outcomes of the Hip Hop Health project and whether it met its initial objectives. The evaluation process included: document reviews of project outputs, observations and video recording of project activities, interviews with project staff, focus group discussions with learners and experts, questionnaires with learners and audiences, and e-mail questionnaires with external experts. 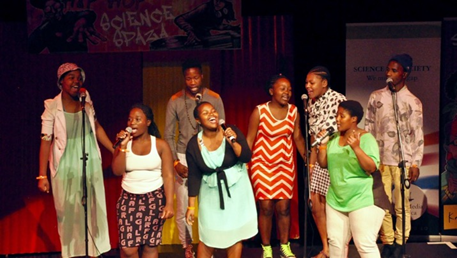 The evaluation found that the project successfully produced spaces for science engagement between biomedical researchers and learners, and facilitated a process whereby learners became message bearers and activists through the medium of hip hop. Not only did learners deepen their knowledge about science, water and health, they also learnt that they could do research themselves; that they could be researchers: “I want to make my own questions” (learner). Learners had the affirming experience of using the research results they produced, being recognised, and seeing their solutions being taken up by other people. They felt that they could be agents of change and able to make a positive contributions to their communities: “...I know now it [change] starts with me” (learner). Although some learners did not change, others also noted changes in their behaviour after the project: “I’m living a different life now, after this project. Although my mother used to tell me about boiling water, but I never listened, but now I do it, since I have learnt by myself” (learner). Change at a community level was difficult to achieve and assess, although there was evidence of a few learners making attempts to pass messages on at a community level. “I am motivated to be the one who raises awareness on the use of water as a young person. I feel I can use findings from our projects to make people aware of the situation” (learner). The project also demonstrated the power of hip hop in health messaging, with people of all ages. Despite initial concerns that hip hop can be associated with negative stereotypes, there was overwhelming support from learners for using hip hop to spread messages. The lyrics of the learners’ songs covered topics including: raising awareness on water and health issues, the importance of water for biodiversity, pollution and contamination, bacteria and viruses, and solutions (such as hand washing, not littering, vaccinations). Audience members at the performance not only gained knowledge about water and health and changed their own behaviours, they also began to see the learners as active participants in the world of science and research: “to see our children learning about water diseases and they will spread that knowledge in our communities” (audience member - parent). To find out more about Hip Hop Health, head to the Jive Media Africa website. Please click here to download the full Hip Hop Health evaluation report.